The extension adds a dozen new options to Google Analytics, including conversion tracking, the ability to filter reports by customers, and enable first touch tracking for advanced marketing insight. 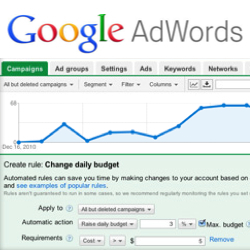 Track conversion rates and money earned for purchases made on your store via Google Adwords. Advanced options allow you to track in a variety of languages and currencies. Easily combine Magento multi stores (subdomains) into a single Google Analytics account, for simplified comparison and analysis. 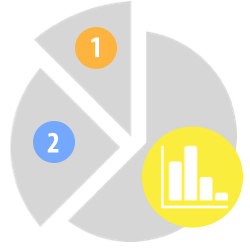 Where do I view the data added by Fooman Google Analytics +? 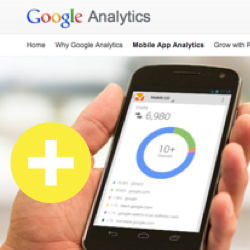 To view your data, log into your Google Analytics account. Nothing is changed on the Magento dashboard. Can I use this extension to track newsletter or account sign ups? This is not part of Fooman Google Analytics +. Can Fooman Google Analytics + track multiple conversion goals? The extension can track only one conversion goal. We usually recommend that you choose a sales funnel conversion goal (further information is provided in the User Manual), which will provide a comprehensive overview of sales conversion rates during the different checkout steps of your store. Not all of my customers return to the checkout success page after completing payment. Can these transactions still be tracked in my sales funnel visualisation or Adwords conversion goal? 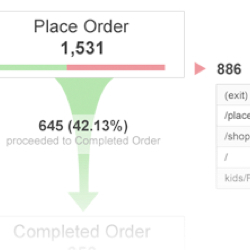 These transactions can be tracked in your sales funnel visualisation by changing the 'goal success' URL to checkout/onepage/PlaceOrderClicked. This will then track checkout success based on everyone who reaches this page (instead of reaching the checkout success page). These transactions cannot be tracked as part of an Adwords conversion goal. Is Google Analytics + multi store capable? Google Analytics + is fully multi store capable - simply configure different settings for each store set up. Does the extension support Universal Analytics? Where can I find support for Fooman Google Analytics +? More information about tracking to an alternative profile can be found here. We purchased the set up option and, a week later, despite several emails back and forth, we are still waiting. We now receive less information from GA than before. The instructions for setting up in GA are out of date and response is hopeless. Hi Michael - thanks for your feedback. As per your pre-sales inquiry you are using Klarna as your payment extension and asked if our extension is compatible. To which we replied we have not had prior experience with this payment method but that our extension works with most payment extensions as long as the standard Magento checkout is used. As became apparent working together with you on this, is that Klarna completely replaces and circumvents the normal Magento checkout. I reviewed our emails to you and agree we could have been clearer on this a bit earlier on, but we were also waiting on information from you to help in finding a solution. Hi Justin - thanks for your feedback on our in-development version. This has all been resolved in the latest release. Thanks for the extensions (i have more than one:) ) this one works just great too. I have magento 1.7.0.2. No problems. I haven't set up multipleshipping addresses checkout yet but the code looks good. Very nice Script, thank you for sharing. It´s look like, the tracking-code isn´t working correct. On my site i only habe cpc traffic, but 40% of this is declared as organic traffic in GA.
We've created a fork of the module to support _setSiteSpeedSampleRate (_trackPageLoadTime is deprecated).